What are those little flying black bugs? What Are These Tiny and Annoying Black Flies? Fungus gnats are tiny flying insects often mistaken for fruit flies. A fungus gnat is much smaller than a fruit fly and has a tiny black body (while fruit flies are commonly tan and have very visible bodies). Gnats are also attracted to decaying organic material, wheres fruit flies only feed on produce. These bugs lay eggs in soil where conditions are moist and there is decaying matter to feed upon. The eggs of the gnats hatch in the soil, and the larva live and feed on fungal material found there. They can eat away at the roots of your plants and cause them to yellow or die. When the larva grows into an adult, it flies out in search of new locations to procreate and feed. Most people notice that they have fungus gnats in their home because these tiny bugs will often try to fly into a person's nose, mouth, or eyes, as they are attracted to moisture. This trait causes them to be commonly reported as "those little, annoying, flying bugs." They can be especially irritating to someone who sits at a desk near the origination of the infestation. Where Do Gnats Come From and What Are They Attracted to? Moisture: They love to live and breed in the moist soil of overwatered house plants, in containers or pot liners, or around areas with standing water, such as sinks, open bottles of beverages, etc. Tap on the pots of any houseplants in the area where they seem to swarm. If there are gnats, they will begin to fly up out of the plant. Decaying organic matter: Fungus gnats feed on moist, decaying, organic material, such as dead leaves, leaf husks, fungus, or any other organic debris on top of the soil's surface or down inside the pots and liners. They are also attracted to soil that contains organic material, like wood chips, peat moss, or compost, which is also why you may find them in compost bins or trash cans with decaying material. Light source: They typically swarm around windows, lamps, and other light fixtures. Carbon dioxide: Like most flies, fungus gnats love CO2, which is why they like to hover around your mouth and nose. What's the Difference Between a Fungus Gnat and a Fruit Fly? Use the following methods to catch and kill fungus gnats that are present in your home. Use a combination of methods and do it repeatedly for at least 4 weeks. For an over-watered plant, you must begin drying out the soil. Overwatered plants get root rot, and rotten roots are a perfect food source for fungus gnats. As a side note, overwatering will eventually kill most houseplants, so please don't do it. If there are dead leaves or any other kind of debris in the soil or inside the liners or containers, it must be removed. Dead, decaying material is a food source for gnats. This method works like a charm. Place a thin layer of steel wool on top of the soil of your potted plants. Any larvae trying to fly out will literally get shred to pieces, and adults flying in to lay their eggs will also die. Leave the wool in for at least 4 weeks to ensure that all generations of larvae are exterminated as they try to fly out. It's a simple yet magical technique. Once you believe all the larvae are dead, remove the top part of the soil. This is to ensure that any eggs remaining will be removed. Replace this top half with sand. Sand drains well and dries quickly. Place jars filled halfway with apple cider vinegar or beer near the source of origin. Screw on the lids and poke holes in them large enough for the gnats to enter. If you don't want to ruin your lids, you can cover with plastic wrap and poke holes in it. The gnats will enter to drink the vinegar or beer and drown. 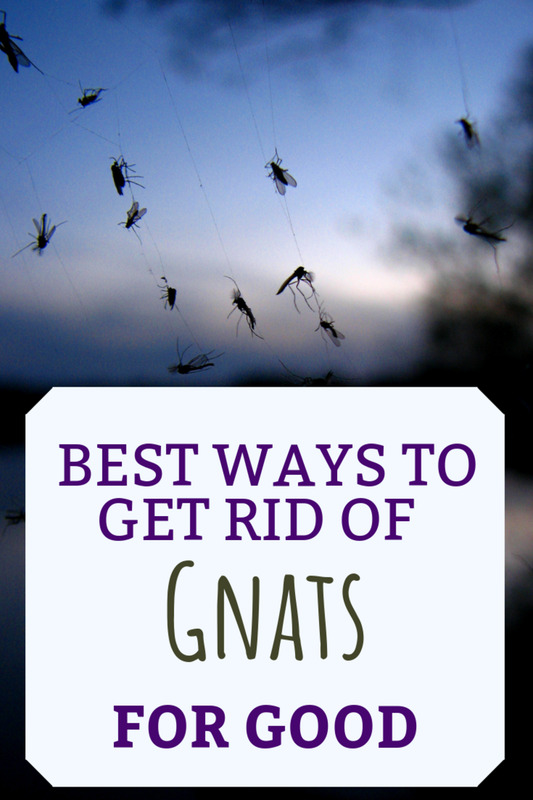 Do this repeatedly until you see fewer and fewer gnats in the jars. Cut slices of potato up and place them on the surface of your potting soil. Fungus gnat larvae will swarm onto these tater slices after about four hours, and you can then dispose of them. Do this repeatedly until all the larvae are gone. 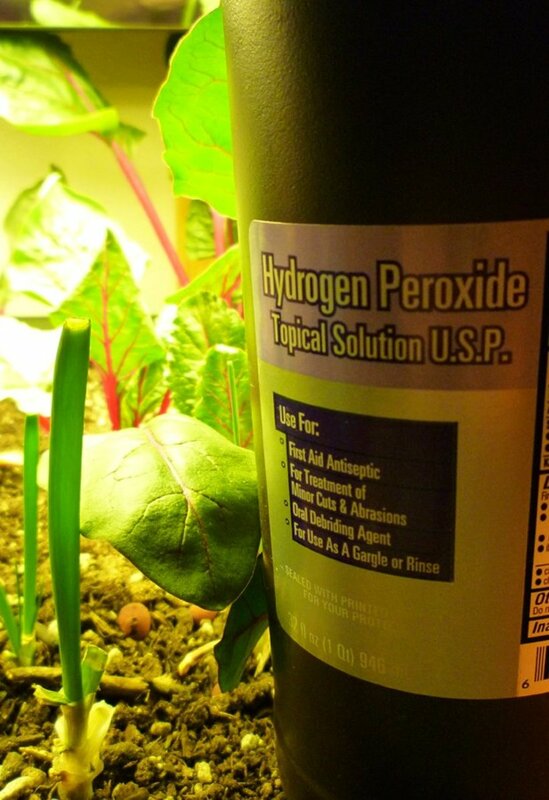 Allow your soil to dry before watering your plant with a mixture of 1 part hydrogen peroxide and 3 parts water. You must dilute the hydrogen peroxide and only use the 3% hydrogen peroxide you find at the drugstore and nothing higher. DE is natural and non-toxic, but it contains microscopic shards of silica that can rip larvae apart as they crawl through it. Mix some into the top layer soil (this is where gnats lay their eggs). If your repotting or planting something new, mix DE into the potting soil for prevention. These products, such as BTI Mosquito Bits, contain the bacteria Bacillus thuringiensis var. israelensis, which kills the larvae of many insects, including fungus gnats. Mix into your soil and larvae will be wiped out instantly. Like flypaper, these yellow sticky tabs catch gnats so you can discard of them. Just place the stick traps horizontally on top of the plant soil, and they will catch the adults that fly up out of the pot. Discard the sticky trap once it is covered in gnat carcasses, and continue using new traps until you see fewer gnats. Organic material inside the soil is the most difficult issue to correct. The easiest solution is to discard the plant. If you are fairly handy, you may try repotting the plant in proper indoor potting soil. But for this to be successful, most of the old soil must be shaken away from the plant's root system. If a liner with built-up residue and fungus is discovered, wash it thoroughly or get a new one. It takes about 17 days for gnats to mature from egg to full-grown flying adults. They then live a week before they die. Use a combination of methods and do it repeatedly for at least 4 weeks to ensure that at least two generations of gnat larvae cannot fully form into adults, therefore killing off their population. Don't Overwater Your Plants: Give plants the proper amount of water and allow them to dry out between waterings. 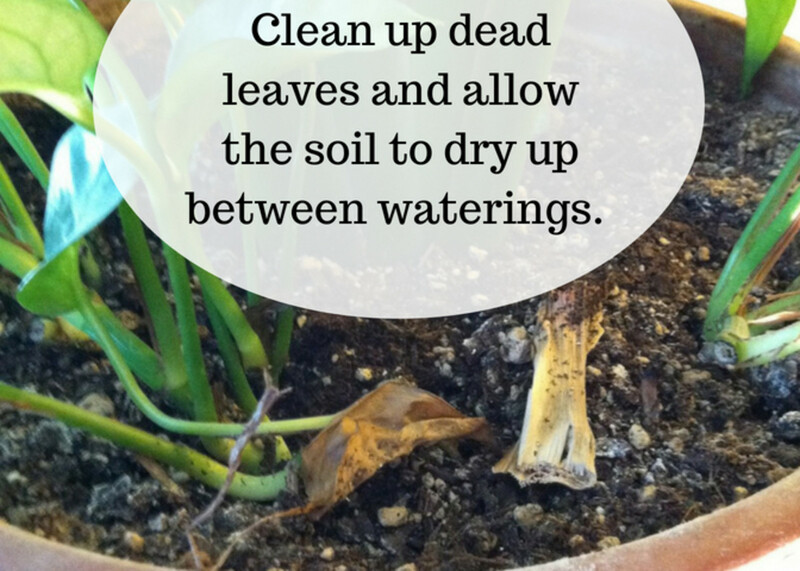 Keep Your Plants Clean: Remove dead leaves, stems, debris, etc. Use Sand: Fill the top of your pot with 1/2 inch of sand. Water drains quickly in sand, keeping the top layer dry, and thus preventing gnats from laying their eggs. Use Indoor Potting Soil: Always use indoor potting soil for indoor plants. Do not add compost or wood chips to the soil. Don't Use Compost, Peat Moss, or Mulch: These materials retain moisture and contain decaying material that fungus gnats are attracted to. Don't using potting mixes containing these materials and replace the potting soil with indoor soil if necessary. Consider Using Perlite or Vermiculite: Both of these materials improve aeration while retaining moisture. Like diatomaceous earth, they are sharp, so they present an unwelcoming environment to fungus gnats. Ask your local nursery which material you should use for your plants as perlite dries out too quickly for water-loving plants and vermiculite holds too much water for plants that need well-drained soil. Check Plants For Infestation Before Buying: Avoid purchasing any plants that have evidence of fungus gnats. Following these simple tips and keeping your plants properly watered will work wonders for keeping your home or workspace free of obnoxious little fungus gnats. There is no need to throw away all your houseplants! All you need is a little know-how. I see these gnats everywhere. I have a lot of houseplants. They’re on my clothes itching me, and they bite. We’re getting mosquito type bites, and they bite hard. What if they are not Fungus Gnats? The description of the bugs in your home sound like they could likely be something other than Fungus Gnats. It would be best to contact pest control to identify & exterminate whatever pest it is that you have especially if they are biting. How can I keep gnats from coming into my home? I have no indoor plants, but gnats are in my home. I have a large mango tree at the back that constantly sheds leaves. Also, my neighbors have tons of outdoor plants. Fungus gnats will only reside where there is a food source, so there is either something inside of your home or in close enough proximity to it that makes it attractive for them to stick around. My expertise lies in the presence of gnats that reside in houseplants themselves, however, the attraction to moist, decaying, organic material would be the key whether they are associated with the houseplants or something else. Do fungus Gnats bite? I'm not sure if that's what we have but it sounds like it. They're terribly annoying and they leave bites that look like mosquito bites. Fungus Gnats do not bite. What do I do if there are fungus gnats in my car? There is likely something stagnant and moist in your car. Find the source of it then get rid of it. Will a urine soaked sofa attract Fungus Gnats? It is entirely possible that urine soaked furniture could be a breeding ground for Fungus Gnats, among a whole host of other bacteria, pests, and unsavory things. I received a mass palm plant for Christmas. It was doing fine until a month or so ago when the leaves started turning brown and yellow and dying. I would water it, and the water would run off into the tray I have at the bottom. Now I have noticed a white substance on many of the leaves, and the leaves are turning sticky. Can you help me? I think your plant is a Dracaena Mass Cane. The problem you are describing sounds like Mealy Bug. Mealy Bug will look almost like white lint to most people; the sticky substance would be the “Honey Dew” created by the Mealy Bug, this is excrement from the bugs. The bugs will likely be found concentrated in the foliage crowns; the crowns will probably need to be cut out to begin treating the plant. The Mealy Bug, and its Honey Dew will need to be wiped clean off of the plant frequently to control the pest problem. We are in an office/warehouse. There are no plants, but we have had a few leaks from the roof. could it be from there the fungus gnats are coming from? 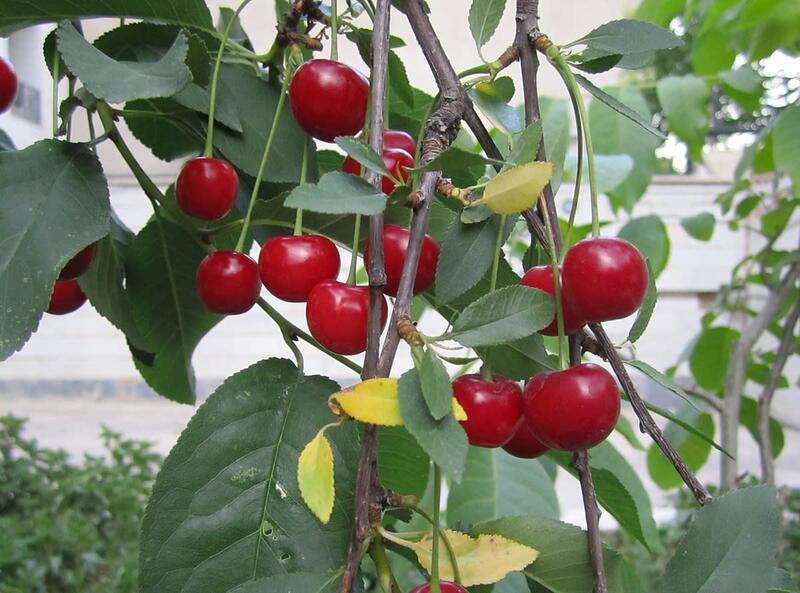 If there is a persistent condition of moist material like wood, soil, leaves, paper, etc. associated with the roof leak, that could very well be the place your gnats originated. I just moved into an apartment, and it had a lot of the tiny black fly-looking bugs everywhere. I don't have plants or leave fruit out. How do I get rid of them? The first step to getting rid of fungus gnats is to identify what they are living and feeding on. Look for moist organic material. If no plants are present, they could be coming from other places: drains, a crawl space, under the sink or fridge, etc. Once the source has been identified steps should be taken to remove the food and incubation source. Do Fungus Gnats ever live in dumpsters? Fungus Gnats can live & breed in rotting organic material found in dumpsters. Do fungus gnats also like things like cat litter? I have noticed tiny flying insects, and they are getting worse. I've noticed them around the cat litter waste as well as around fruit. Moist, decaying organic material is the draw for fungus gnats. It is entirely possible that cat litter waste would fall into that category. Do fungus gnats start as little webs on your plants with tiny dots? An infestation of late stage Spider Mite would be the pest that would appear as webbing with 'small dots', which are the mites themselves. Fungus gnats are tiny winged bugs. We have a composting toilet, and after a year of being Fungus Gnat free, we now have an infestation. How do I prevent the critters from returning after clearing them out? I want to know if there is a mix I can make to get rid of fungus gnats from a dogwood tree? If gnats are present around a dogwood tree, they would be in moist soil, or organic material around the shrub. The problem would need to be resolved by correcting the moisture/rotting organic material surrounding the plant. If you do wish to use a chemical, Gnatrol is a chemical often used to control gnats for interior plants. It is possible that this could be used in an exterior setting. Read the manufacturers recommended use to be sure. Once the plant has been removed how long will it take to get rid of them? When the offending plant has been removed you should start to see a dramatic difference in 1-2 days. If the problem persists beyond that the gnats may have taken up residence in another plant in your home. Can fungus gnats be in purchased soil? Yes, potting soil can contain fungus gnats. Fungus gnats are very common in soils that have a lot of wood chips, are designated for outdoor use, or contain compost. Could a wet basement cause Fungus Gnats? Yes, moisture in a basement could create conditions that would support Fungus Gnats. I saw that small fly type bug on my organic celery should I throw away? You should be OK just to wash it thoroughly and consume it. Your celery probably won’t be around long enough to present a long term problem. If one is continuously bitten by Fungus Gnats, what should they do? If you are being bitten by a flying pest in your home it is unlikely that it is a Fungus Gnat, they are too small to bite into human skin. Contact a pest control professional to identify, and treat whatever may be infesting your home. Are these bugs also attracted to light? I thought we had fleas. Keep finding little black bugs appearing to hop however they also fly, we don't have any bites, and they are mostly near my house plants, and also I am finding them in the bathtub and bathroom sink. I want them gone. I have not noticed Fungus Gnats to be attracted to light. Moisture/humidity is the big draw for them, so they are commonly found around sink drains, and human faces in addition to houseplants. We're in an office with minimal plants and fungus gnats are all over. Where could they come from? Are they dangerous? Fungus Gnats are not dangerous; they are however incredibly irritating. It does not take much to produce a substantial Fungus Gnat population. 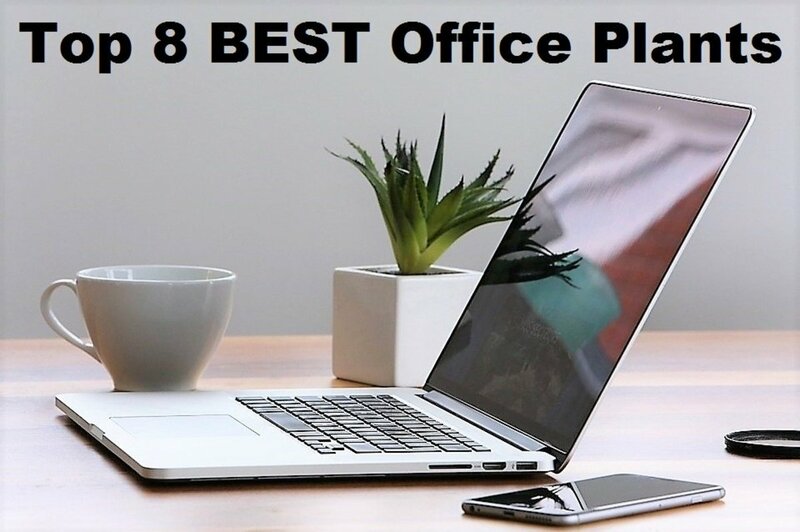 If the plants in your office have been inspected for organic material like dead leaves and bark, standing water causing root rot, or any other moist rotting material in the soil surface or in the liner and the source cannot be located it would be good to check garbage disposals, look for leaks or spills in kitchens, garbage can, etc to see if they may be the cause of the issue. My carpet was recently drenched in outside water, they got the water up, but the carpet still smells moldy. Could that cause Fungus Gnats? Residual moisture on material creating a potential for bacteria or mold growth can definitely create a probable habitat for Fungus Gnats. I have a huge ficus plant and don't want to throw it away, what should I do? Water appropriately, provide good light, keep the plant clean, prune as needed, and treat pest problems as they arise. Mine are larger than fruit flies and I can't find them in plants, are they really fungus gnats? If the insects in your home are larger than Fruit Flies, and there is no sign of plant infestation, then you must have an issue that is not due to Fungus Gnats. It may be best to consult a pest control specialist to identify the offending bug in your home, & treat it accordingly. 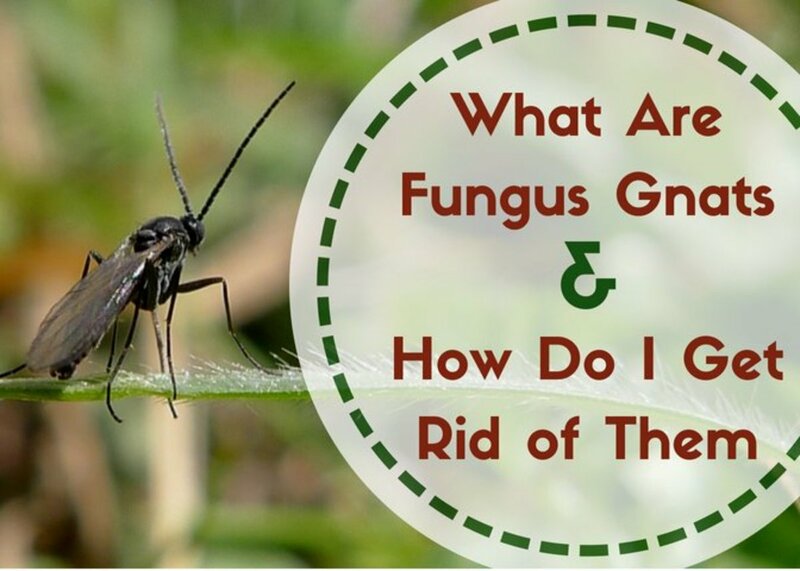 Can you have Fungus Gnats in your house even if you don’t have plants? Fungus Gnats are laying eggs in the top of my trash can lid and other plastic items. The inside of my trash can is covered with eggs. How do I stop this? This behavior does not sound characteristic to Fungus Gnats, I think that something else may be living about your garbage can. It may be best to contact pest control. There are Gnat Traps. 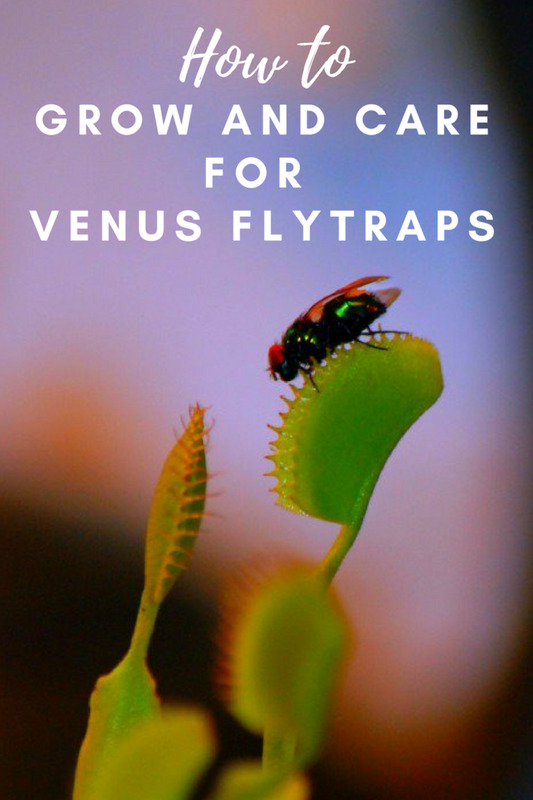 They are basically tiny cardboard fly trap strips. This might be a good option to set outside the cage to avoid the possibility of your pet getting stuck to it. I think that my gnats are coming from my chameleon's cage, where he has a potted tree. My issue is that I'm meant to keep his cage humid, so I feel my only options are to keep up with the cleaning and try the vinegar trap. Are there any other traps or repellents that I can also try? I think I know what’s going on with these gnats so I’m going to buy some gnatrol because my dog poops and pees in the dirt on the patio and I had a sneaky suspicious so I I’m hoping one of these ideas works. I pick up the poop but can’t do anything with pee. I’m 73 y.o. And handicapped.no walking the dog. I’ll see if something works. I have this small black flying bug and I can’t tell what it is. There a a lot of them flying out side my front door and widows i have no idea what there are. I would like to post a picture to see if anyone can tell me what they are? I had fungas gnats but I couldn’t figure out where they were coming from because I don’t have any plants. From what other people on here have said, I had it easy. I only saw maybe 10 of them over a few days. After reading this I decided to clean out my whole kitchen and get rid of any old food. Anything that had been in my fidge or cubbard for longer than a month got tossed, and I gave all the shelves a good wash while I was at it. I felt bad about throwing away so much food, but it got rid of the bugs! I have had fungus gnats since last winter. I threw away most of my plants but kept 2 Christmas cacti because I could let them really dry out and I kept an aloe. I treated them outside with a systemic insect control powder. They seemed to have no gnats so I brought them back inside. But even while they were outside I still had gnats. Then I bought a couple of herbs to put on my tiny balcony and have the original plants quarantined in a spare room But the gnats are worse than ever and driving me crazy. I have a hard time being on my laptop or even watching TV. I kill one and two more appear. I do have some plant soil and gardening tools, gloves in a corner of the room. One bag of houseplant soil I just opened a couple of weeks ago to pot the herbs but the other bag, indoor-outdoor soil, has not been opened. Could the soil or something else in that corner be a breeding ground for the gnats? Antonia, remove the dead leaves. You are correct they are living in and feeding on the dead leaves, if you are to remove the leaves the Gnats will not have anything to support their colony. I have these tiny, flying bugs near my dwarf sunflowers. They are extremely annoying, and they seem to be eating the dead leaves I put in the pot earlier to help a small sprout grow stronger. I want to get rid of them but do not want to kill my plant. What should I do? There is an OMRI Organic product called gnatrol or gnatrol.com that is a miracle cure for fungus gnats. It has the highest concentration of BTI available. BTI is the ingredient that kills the larve. There is nothing better and it's harmless to people, pets and plants. I think I paid less than $10 for it and it will last up to 2 years. White brown gnats in house. No house plants. Fly in eyes and nose. How do I get rid of them? Have hired 4 exterminating companies that could not exterminate the gnats. We have no plants or food exposed. I often have dish water that stays overnight which they tend to stay by most but can’t find the source. My daughter raises snakes with shavings , no raising mice and just got rid of guinea pigs, after those removals, we still maintain about 15-20. We had fungus gnats for weeks and have no house plants. After killing 20-30 adults per day, cleaning out drains, covering windows with plastic, we finally found the breeding grounds. It was my bag of used espresso coffee pods! Got rid of bag...no more gnats! Dianna I did not get any follow up information from Karen B, so I do not know what the outcome was on that situation. You may also want to inquire about the issue with a pest control expert familiar with your location, & climate. I have the same problem as Karen B. was there ever a resolution to her problem of fruit fly infestation? It just keeps getting worse and no fruit or plants in my home. My bugs are fruit flies according to the description above. Only thing is I do not have "any fresh fruits or vegetables" in my home. I quit keeping any of these things in my home several months ago when these creatures started to show up. I have gone thru almost 2 gal. 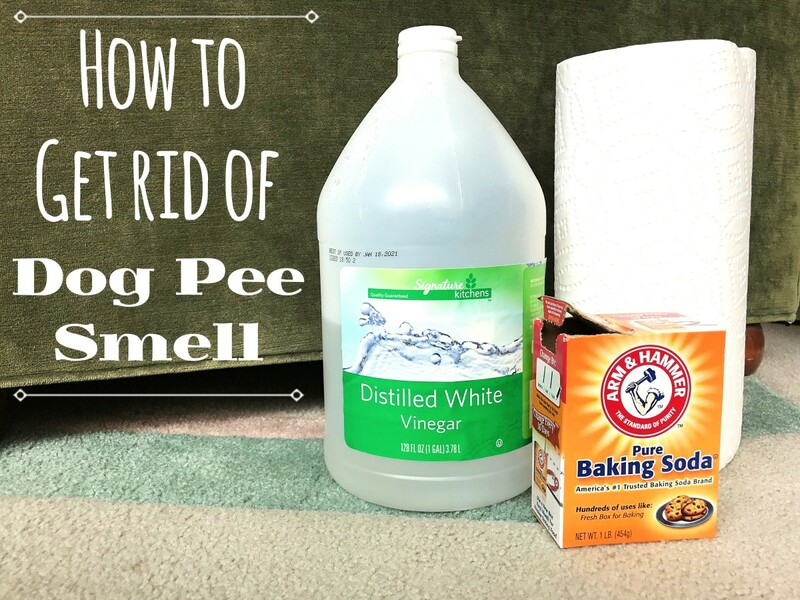 of vinegar and have bombed my home 3 times. These flies are causing me to question my own sanity....PLEASE HELP!!!!!! Hi, I put apple cider vinegar in a small container and dropped a couple of drops of dish detergent in it and they’re attracted to it and drown themselves in it. It works! That sounds like quite an unpleasant discovery Karen B. The scope of my expertise in this area is limited to indoor situations, and I live on the other side of the country in a very different climate from that of NJ, so I would likely not be the best person to answer your questions. This may be a subject in which a general pest control expert could provide insightful information. I would imagine that the recent storm systems hitting the East coast have given rise to all manner of pests that flourish in moist conditions, fungus gnats included. I was quite disturbed upon finding a writhing slimy mass of small "worms" on my concrete driveway yesterday...grossed me out and have never seen anything like it before. I sprayed it with raid a few times until I saw no more signs of life. Went online and found out this was a fungus gnat larvae train. Much to my horror, there was another train this morning on my concrete porch not far from the train yesterday...sprayed it, also. They appear to be coming from my lawn. I'm in New Jersey and it was a rather soggy summer. Is this event unusual where I live? Should I be concerned? While my expertise with gnats is in respect to indoor plants, I am confident fungus gnats will only be present if they have some decomposing moist material to feed on. The key is to find the food source, and get rid of it. Fungus gnats are often more prevalent during seasons of greater precipitation, namely spring & fall for much of the US. It is possible they may be originating outside, if this is the case it may be a bit more difficult to isolate a specific source. Outside or in look for moist wood, bark, roots, dead leaves etc. If the source remains elusive it may be an indicator of something out of the ordinary going on in or around the home causing structural decay, perhaps a water leak. I don't have indoor plants and when I got out of the shower the little bugs were all over the bathroom and in the window. I went to my kitchen and there all over the lights?? What do I do? I believe I have fungus gnats. Everything here sounds right except I don't have indoor plants. I do have a little aquarium. Could that be it and if it could how do I fix this? Someone gave me a house plant, instead of flower, for the passing of a loved one. This article was very helpful.